Phonics Lesson - How to Structure the Perfect Phonics Lesson! A Great Phonics Lesson Decoded! Your school has bought or created a synthetic phonics program. It provides a scope and sequence for all teachers to follow. You have some high quality resources at your disposal (including, of course, the free teacher resources from Phonics Hero) and you know the principles of synthetic phonics instruction. The question is: What does an effective phonics lesson look like? This blog aims to shed some light on effective phonics lesson design and preparation, drawing on the principles of explicit instruction and on Professor John Hattie’s Visible Learning research. Most learning does not happen by chance. Teachers must design, set up and implement lessons that use strategies that have a significant positive influence on learning. Have a look at Hattie’s ‘influence barometer’ below, it starts at -0.2 with strategies that have a negative effect (for example, repeating a year) and ends at 1.2 with strategies that have the highest effect. The strategies that teachers use should have an effect size of over 0.4. When learning is visible, students can articulate what they are learning, set learning goals, see errors as opportunities for learning and seek feedback and assistance. We will use John Hattie’s Influence Barometer, peppered with learnings from my own experience, to decode what makes a phonics lesson great! The best phonics lessons I have witnessed make every second count. That means no wasted time handing out whiteboards (have one child hand them out), providing a spare sock as an eraser for the whiteboard and having a prearranged seating plan which facilitates support for those children who are struggling. 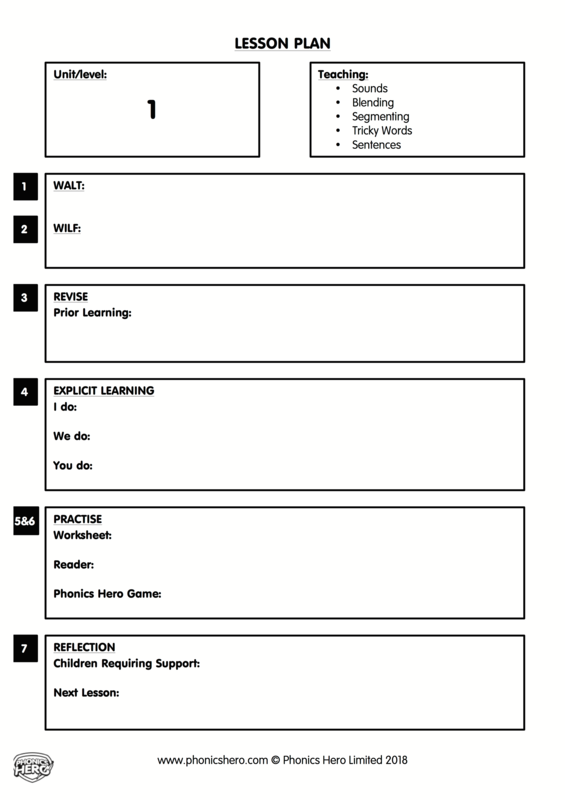 Firstly, here is a Word template of this phonics lesson structure for you to use. Students need to know what they are supposed to learn and why they are learning it. It helps them to retain focus and motivation. If you told a group of students to jump in a pool and swim, without telling them the starting and finishing point, the swimming style or duration, there would be a range of outcomes! 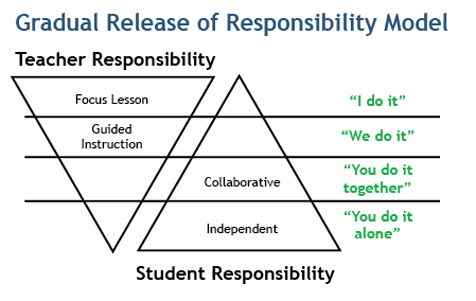 When learning goals are made transparent, students have higher confidence that they can reach them. Place the new knowledge/skill/strategy to be learned in the context of what is already known. Students need to know how they will know if they have learned the information or skill. Success criteria challenge students, help them to monitor their own progress and motivate them to set personal goals. The learning intentions and success criteria should be spoken and written on the whiteboard for students to refer to if unsure. Teacher clarity (a combination of points 1 and 2 above) has a very powerful impact on learning, rated by Hattie as 0.9. (c) of new irregular words (1-6 per week). Firstly, ‘I do’ – the teacher explains the knowledge and models the skill, strategy or process, thinking aloud. Secondly, ‘We do’ – the student is given guided practice. This initially takes the form of working with the teacher step-by-step through examples but can progress to work in pairs or small groups. Check for understanding by calling on some non-volunteers. Additional examples should be provided for weaker students and extensions for more able students. Thirdly, ‘You do’ – after success has been achieved in guided practice, the student is required to independently use the information/skills/strategies. The student should be working in the ‘zone of proximal development’, therefore independent tasks should be individualised. An able student, for example, might be required to read or write words containing more sounds or syllables than that required of peers. Explicit, direct instruction is characterised by clear language, a brisk pace, a high level of student response, effective immediate teacher feedback and students practising till mastery. Hattie rates explicit teaching as 0.57 and direct instruction as 0.6. It’s important that teachers have children go further than reading single words, with the application of the learned skills in sentences and decodable readers. 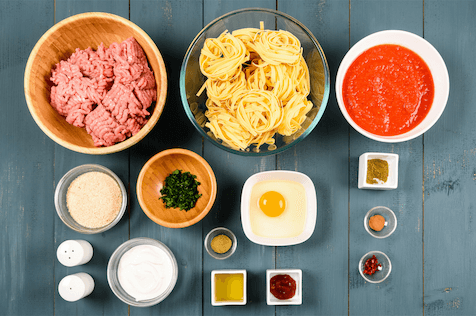 This is the step that I find many teachers omit, maybe because they feel pressed for time, but that is like asking students to prepare all the ingredients for spaghetti bolognese then telling them there is no time to put the ingredients in the pot to make the delicious meal! Application is vital for deep learning and understanding of the relevance of knowledge and skills taught. The student is learning to read and write words for a purpose (so that he can use his phonic knowledge and skills independently in sentences and in extended text, to gain and share meaning), therefore he must be shown how to apply learning to a decodable text. In synthetic phonics instruction, students are asked to independently read ONLY text containing the sounds learned and irregular words they have been explicitly taught. The text used should be of increasing length and complexity – caption, sentence, then page of text – and the skills and knowledge learned should be applied in both reading and writing. Step 6 of Phonics Hero applies the knowledge and skills learnt throughout steps 1-5 to meaningful reading. Systematically increase the quantity of text to which you expose the child. Students enjoy games and multisensory activities, but the teacher should carefully select these to give targeted practice. Phonics Hero is an ideal tool for this practice and helps the teacher to individualise the student’s learning program. Some students may need to work on step 1 (knowing the sounds) whereas others may need step 2 (reading with those sounds) or step 3 (spelling with those sounds). Recall of tricky, irregular words can be targeted with steps 4 and 5. In Phonics Hero, teachers can use schedules to assign specific tasks to individuals. Hattie rates deliberate practice as 0.79.
Review what has been learned and how that learning can be used. This is an opportunity for students to demonstrate their understanding, to share their progress and perhaps set learning goals. The teacher should record the names of students having difficulty or needing an extension. To meet the individual needs of each student, differentiated home readers and targeted practice on Phonics Hero (for remediation or extension) can be given. Teachers can use Phonics Hero’s schedule functionality for this. Hattie rates evaluation and reflection as 0.75. Response to intervention is rated 1.29 in influence on achievement. Collective Teacher Efficacy is the group belief of teachers in their ability to positively affect students. With an effect size of 1.57, Collective Teacher Efficacy is strongly correlated with student achievement. I hope that the information on phonics lesson structure contained in this blog contributes to your efficacy!